Summer break is finally officially upon us here in Washington, and my kids couldn't be happier. We're not big on super busy, crazy summer plans. Sure, we like to hit up our local water park, spend a couple of days here & there by the lake, and enjoy the sunshine as much as possible (especially after the long, cold winter we had this year). But with four kids now- one of those being a baby and another a rambunctious toddler, I'm much more into summer days spent in the backyard by the kiddie pool and the occasional family movie day in the air conditioned house. As our family has grown and our lives have become busier, I really do enjoy spending more of our time here at home, as a family, slowing down and not really having to be anywhere. Slow summers are my favorite! Slow doesn't mean boring! Like I said, we still do plenty of fun stuff, but I definitely don't let my kids run me ragged all day either. Mama still has work to do, too, and I need to maintain my own sanity. Have you ever gone out in public with four kids? 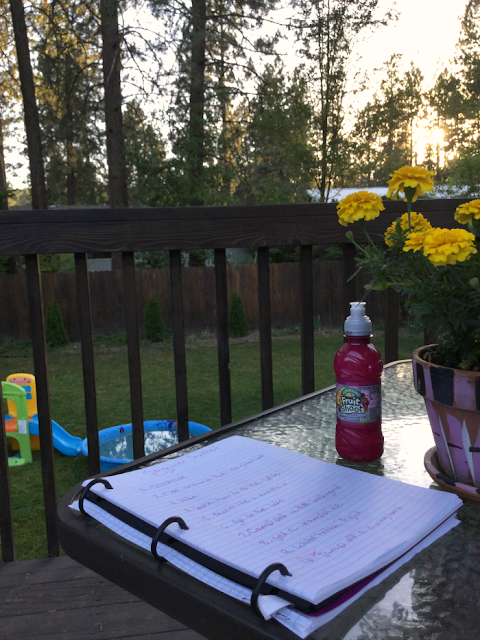 My 9 year old daughter decided to make us a summer bucket list as a sort of "goal" for us to remember to do a few of our favorite summer activities, in addition to those laid back, easy summer days at home. Our list includes things like visiting the water park, going for a hike, and swimming at the lake...these are all things I imagine that we'll do maybe once this summer, if we are lucky. 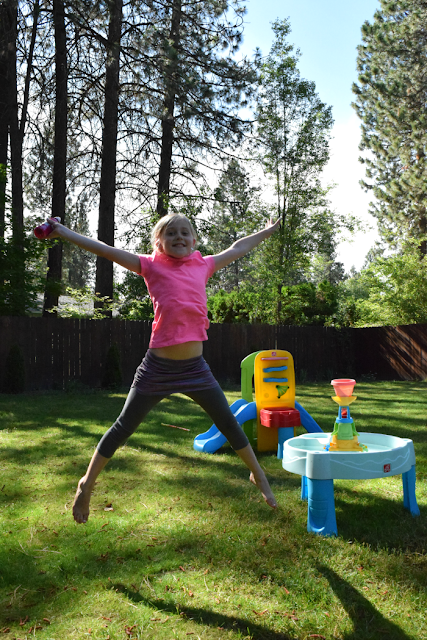 Some of my favorites on her bucket list are riding bikes around the neighborhood, camping out in the backyard, and having a water balloon fight- all totally doable, right? She even included some fun little ones like "swim like a mermaid" (she just got one of those little fin things that go on your feet), and "learn how to do the splits" (because she wants to do cheer leading next school year). Those are also things I'll probably pass on, but I'm totally down for the bike ride and water balloon fight! 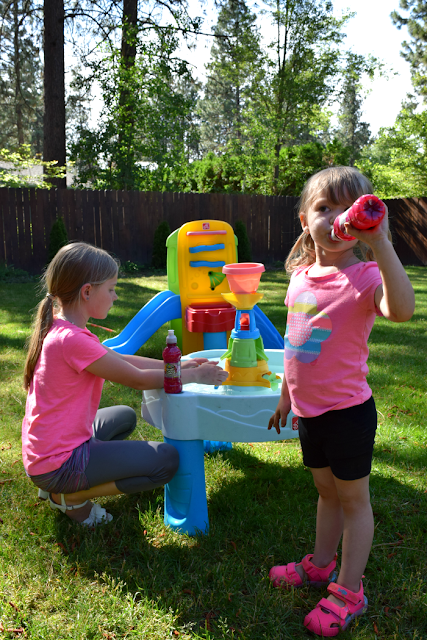 Fruit Shoot is great for all of our summer adventures, whether it be at home in the back yard or at the lake or water park. I prefer these to other juice pouches or boxes because of the resealable cap. The little pop top lid is so much easier than a straw, which frees me up from having to open them and clean up the inevitable mess that comes along with juice pouches. Whatever lets my strong willed toddler claim some more independence is a win in my book! The bottles are nice and durable too- strong enough to withstand my toddler's death grip and being dropped/thrown a million times outside. 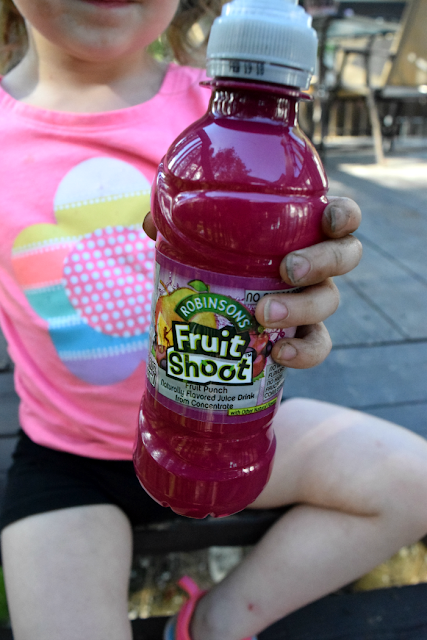 Fruit Shoot are super portable and convenient to take along on any of our summer adventures and contain no artificial flavors, no high fructose corn syrup, and they don't add any sugar- a huge win in my book. I can let the kids do their thing and feel good about letting them choose a fun drink that they like to re-hydrate with. So what are your big summer plans? Do you have any or are you slowing down and going with the flow like my family? Make a summer bucket list and check some of your goals off these next few weeks! And make sure to stock up on Fruit Shoot- my kids #1 favorite drink, no joke! I get ours at our local Fred Meyer store and my kids love every flavor, especially fruit punch. You can find where to buy Fruit Shoot by using the store locator here!